Kungsleden has signed a 20-year lease agreement with the hotel operator Kista Hotel Apartments for an apartment hotel in the property Holar 1 in Kista, involving the entire property with a total area of 6,000 sqm. Opening is expected to take place during spring 2018. The lease will lower Kungsleden’s total vacancy rate in Kista City with 4.2 per cent to 11.8 per cent. Kungsleden AB (publ) has settled with the hotel operator Kista Hotel Apartments on a 20-year lease agreement for a new and modern apartment hotel in Kista containing approximately 167 rooms. The agreement covers 6,000 sqm in the property Holar 1, which will be upgraded and certified to Leed Silver. The property, located on Skalholtsgatan 2 in Kista, is an unmodern office building with large vacancy levels, which will be renovated and modernized into an apartment hotel. Current tenants have mostly been moved to other properties within Kungsleden’s Kista portfolio, increasing the occupancy rate to 88.2 per cent. The total investment accounts to SEK 130 m.
“We have for quite some time studied how Holar 1 can be utilized in the best possible way for both tenants and us as owners. 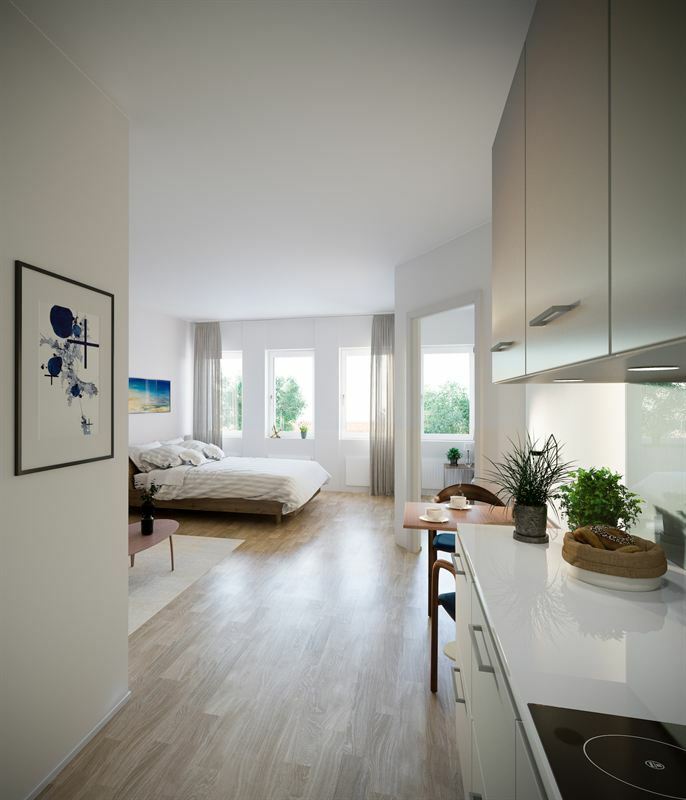 Organisations in Kista require flexible accommodation solutions and Holar 1 has a location close to green areas in a calm part of Kista suitable for residential purposes. This is why we look forward to working with Kista Hotel Apartments in the development of Holar 1 into an apartment hotel of the highest quality and with an exciting concept”, says Frida Stannow Lind, Head of Property Development at Kungsleden. Kista is one of Stockholm’s largest office markets with approximately 900,000 sqm office and retail space. The area gathers a large amount of multinational corporations thanks to its strategic location close to Arlanda and Bromma airports, the close vicinity to central Stockholm, as well as the areas recognized high level within innovation and ICT. There is a great need for flexible accommodation for travelling employees and consultants. “With our experience from the hotel and restaurant industry, as well as our work at our sister hotel Slagsta Gate Hotell, we see great potential in developing the Holar 1 property. Kungsleden has a vision and concept that correlates with ours, enabling us to quickly get an exciting and modern product in place in Kista City. The hotel will function as a second home for those either on weekly commutes or those travelling in from abroad on short-term contracts”, says Anders Olofsson, Partner and Chairman at Kista Hotel Apartments. The information was provided for public release on 28 April 2016 at 07:01 a.m.